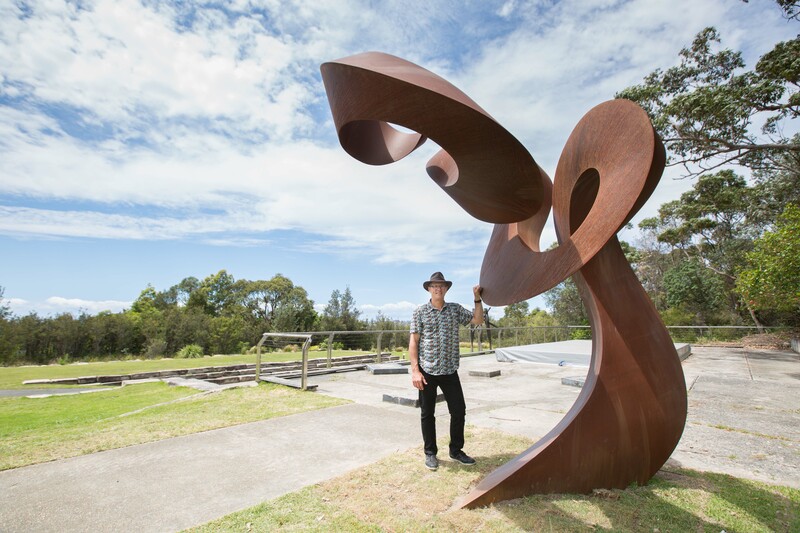 Works by Johannes Pannekoek and David Ball, recipients of the Aqualand Sculpture Award at Sculpture by the Sea Bondi 2016 and Sculpture by the Sea, Bondi 2017 have been gifted to Headland Park in Mosman, Sydney and are now on permanent public display. Congratulations to Johannes Pannekoek and David Ball, whose award-winning sculptures ‘Change Ahead’ and ‘Orb’ have been gifted for permanent public display at Headland Park in Mosman, Sydney. The $60,000 Aqualand Sculpture Award is the most generous annual sculpture prize in Australia, and provides valuable recognition of the recipient’s artistic achievements. This acquisitive award allows for the sculptures to be gifted to the Sydney Harbour Federation Trust for Sydneysiders and visitors to the city to enjoy for years to come. Johannes Pannekoek is a Western Australian artist and sculptor who manipulates abstract ideas in lines, curves, volume and space. His work ‘Change Ahead’ comments on the non-linear nature of life. 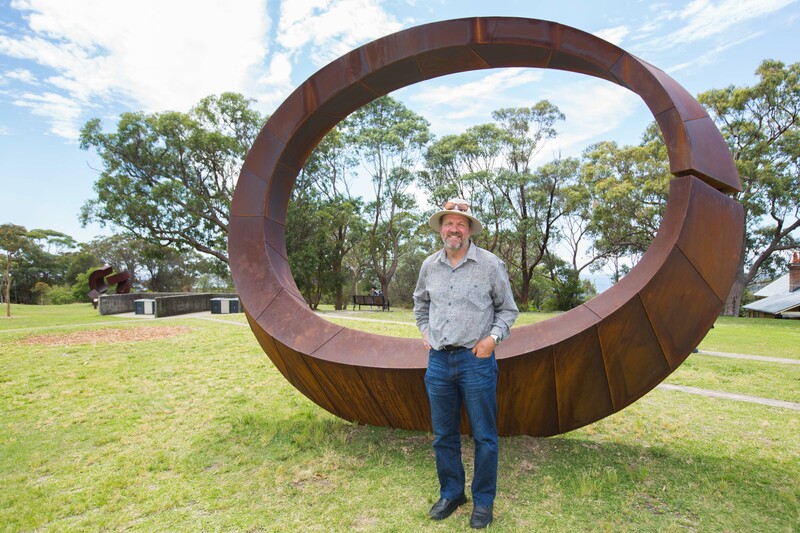 David Ball was born and raised in the Southern Highlands of NSW, and takes inspiration from the forms and patterns of the Australian bush to create his monumental sculptures. His work ‘Orb’ creates a visual metaphor for a break in unity, as a small orb disrupts the dance-like sweep of the steel arc. Jörg Plickat’s ‘Divided Planet’, Sculpture by the Sea Bondi 2015, Peter Lundberg’s ‘Ring’, Sculpture by the Sea Bondi 2014 and Stephen King’s ‘Fallout’, Sculpture by the Sea, Bondi 2013. Headland Park in Mosman overlooks the Heads to Sydney Harbour and is a wonderful location on the walk from Taronga Zoo ferry wharf to Balmoral Beach. It is a great place to visit, and you can enjoy stunning harbour views while you wander among the sculptures.